Each Day A Man Spends Fishing…What’s HOT about our SPOT? Home > Blogs > Deb Brooks > Welcome to Wichita Falls, TX! Lake Livingston Real Estate...that's what's HOT! Have you heard the old saying? Each day a man spends fishing is NOT deducted from his life. It just makes you want to fish every day doesn't it? Well, here you can! Sitting on the banks of Lake Livingston or boating our waterways you won't be disappointed! At least once a week I'm asked, "how's the fishing and what kind of fish do you have there?" Yes, there are others but these are the most predominant fish that can be found here at the lake. Lake Records Thank you for the information provided by Texas Parks and Wildlife! Statewide regulations apply to all fishes with the exception of blue and channel catfish. For portions of the lake in Polk, San Jacinto, Trinity and Walker counties, the daily bag and possession limit for blue and channel catfish is 50. Lake Livingston is a notable white bass fishery. White bass are plentiful and grow to large sizes. Also notable is the catfish fishery, dominated by blue catfish. Largemouth bass, striped bass, and crappie are less abundant but good catches are possible in areas of the reservoir where habitat is available. Some native emergent vegetation can be found in the upper areas of the reservoir. Very little cover exists in the lower reservoir due to vertical bulkhead. 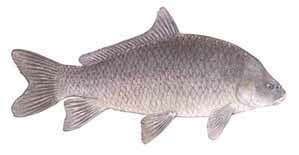 White bass are most readily caught in early spring in the many creeks that feed into Lake Livingston. Striped bass can be caught around the 190 bridge area by trolling and vertical jigging spoons or live shad. Largemouth bass are most frequently caught in the bays and creeks from the Kickapoo/Penwaugh area northward. Spring and fall are the most successful seasons for largemouths. Channel and blue catfish can be caught most any time of year on a variety of organic and live baits over the main river channel and in off channel tributaries and creeks. Great post! I too live in a fishing 'hot spot'. Here in Henderson County Tennessee we have 7 lakes. Only 2 of the 7 have homes on them. I have a beautiful waterfront lot listed right now but I am sure with spring right around the corner it won't last long! Thanks for all the fishing information. I'm going to find out more about the fish in my neighborhood! Deb~This is a great post full of fabulous information for the angler. I love your graphics and truly, you have made this a one stop post for anybody searching for this info. Have a wonderful week! Excellent post, I am truly ready to go fishing before I was only thinking about it. Now I am planning it. How bout you are you ready to go? no I have not posted, yet. You need a BIG fish on here.... hehehe. Cheers, Mr. C. KIM McGuire... The Real(tor) Fisherman! Oh my word!!!!!!! Kim, it's huge! Is that a red fish, yes it looks gold but...what is it? What a great picture! You just added a lot of fun to this post! I might just have to have a post for "who's got the biggest Fish." I love the pic! And you are a Real(tor) Fisherman! Hey Everybody, take a look at the one above me. It was caught right here a Lake Livingston with Kim's bare hands! No one can wrastle a fish like Kim! If you have any you have caught (by hand of course) please post. We all want to see what we get from the lake! Wichita Falls For Deb "Alayne" Brooks' Real Estate! Is it a "SAFE" act? Not anymore! Flippers Beware! Find TX real estate agents and Wichita Falls real estate on ActiveRain.